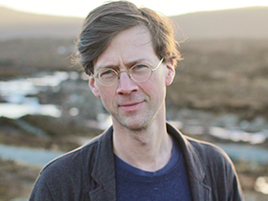 Travel writer and skilled raconteur Manchán Magan kept guests spellbound with captivating tales of his adventures in far flung provinces at the opening of the Cashel Arts Festival on Thursday evening. The four-day Arts Festival was launched in the medieval surrounds of the Vicar’s Choral in the Rock of Cashel by hostesses Anne Marie O’Donnell and Rebecca Lenehan. Rebecca thanked the sponsors Tipperary Co. Council and Arts Officer Melanie Scott, and the Arts Council for ensuring the Arts Festival is a “living and thriving organisation, that is now attracting national media interest”. There was something to suit every taste over the weekend: Daniel Doyle wowed audiences with his sand sculptures on the Plaza, Maeve Clancy’s exhibition of cut paper portraits was open on John Street, and members of the public could partake in living history with Gavin Freeborn’s Pop Up Studio in the Heritage Centre entitled ‘Exchange Celebrating Ireland 2016’. Circus Outside the Box and Aerial Trapeze Show, and Lulu’s Wild Clown Show, and a special Dance Show, also entertained on Sunday, free of charge to the public. “Cashel Arts Festival is uniquely placed in its capacity to bring people together, and to foster collaborations between community groups,” said Ms Lenehan. “The spirit of volunteerism is vital to this Festival and brings an energy and generosity to the Festival as individuals and groups give their time and skills freely. Special thanks to Elaine Moriarty, the OPW, Dean Field, and the Church of Ireland parishioners for granting permission to use these sites.